The conscious mind is the thinking part of our mind. It is very logical; it tries to make sense of everything. On the other hand, our subconscious mind is the feeling part of our mind. It is the seat of our emotion. Contrary to common belief, hypnosis is not sleep. When we sleep, only our conscious mind is asleep but our subconscious mind is always awake. In hypnosis, we may look like we are sleeping because we close our eyes, however this is done purposely to help us block out the stimulants from our surrounding in order for us to be able to consentrate and focus our mind better. In actual fact our conscious mind is awake. However in opposite to a fully awake state where our conscious mind is active and subconscious is passive, in hypnotic trance, our conscious mind is passive and our subconscious mind is active. In this hypnotic state we can then access the subconscious to change our negative beliefs or to discover the root causes of our problems. I'll explain it in a simplest way, let's just imagine that we are a computer, the conscious mind is the monitor screen and the subconscious mind is the CPU or the processor. The CPU is the machine that runs the whole system of the computer. It is the same with us, our Subconscious runs our whole body without us having to think about it. It automatically controls our blood flow; when there are viruses it automatically produce white blood cells to protect itself; it automatically controls our breathing, we don't need to think to breathe. Within the CPU there is a hard disk, it contains all the programs that have been put into it. How good the computer runs, it depends on the existing programs. It is the same with us. Our programs are our beliefs. All messages that have been imprinted within our subconscious mind become our beliefs and they shape our lives. They determine how successful we can be, how confident we are, how happy or sad or angry or stress or fearful we feel etc. A message become a belief through practice, repetition or trauma. When we learn how to drive a car, we practice driving consciously. We have to think to change gear and to step on the brake etc. This practice is usually quite slow. But once it has been imprinted within the subconscious, we can drive the car automatically without thinking anymore. We will drive on auto pilot. John Doe enjoys walking in his favorite park every Sunday, but one day someone pointed a knife at him and mugged him of his belongings there. Anxiety, fear, phobia and panic attack is the work of the protective function of the subconscious mind. At a lot of time because the conscious mind has forgotten of what created the fear because it happened in early childhood, it becomes so illogical for the conscious mind to comprehend. That is why it is very hard for us to overcome the feeling because the feeling is always stronger than the logic. How do we change negative beliefs? Imagination is more powerful than knowledge/reason and when the two are in conflict, the imagination always win. Reason is easily overruled by imagination. Any idea accompanied by strong emotional content is difficult to modify with reason. However when both reason and imagination work together, the results are multiplied by each other, not merely the sum of the two. Since we were at a young age, we have been taught that we need to use our Willpower or Self control to change our negative attitude and behaviour. These are concious effort. However trying to change our attitude and behavior is hard work! because when there is a fight between logic (conscious mind) and feeling (subconscious mind), feeling always wins! It is much easier and so much more effective if we change our negative beliefs from our subconscious mind instead. As they change, automatically our feelings, attitudes and behaviors will change too. Effortlessly! Have you ever wondered why dieting is so hard? If we belief we are not good enough or attractive enough because we are overweight, We automatically don't feel good about our self image. But perhaps our subconscious has learnt that food makes us feel good at the time when we feel stressed. There would then be a conflict between the feeling of wanting to eat to make us feel better at the time of stress and the willpower to not eat the food. What usually happens is the more we try to not to eat, the more stressed we become and in the end we would eat it anyway. To make it worse!, as we have been taught that we have to have strong willpower and good self control, we would often feel frustrated and angry with ourselves because of it. We would then judge ourselves that we are weak and have no self control and we become even more stressed up and hence we feel the need to eat more! What caused us to feel stress? All the beliefs that have been imprinted in us was caused by all the events that we have experienced. The conscious mind forgets most of it, but the subconscious never forgets any of the memories of our life experiences. Memories do not bother us, but repressed negative feelings that have not been expressed within these memories do bother us. They act like viruses in our computer system. A lot of unexpressed negative feelings from our forgotten childhood can create havoc in our mind. They became push buttons in us. They can make us feel irritable, angry, upsets or sad etc., often for some insignificant reasons. How do we get rid of viruses from the computer system? First we must use the keyboard to access the CPU to look for them from the hard drive and bring it to the monitor screen and erase them one by one. The system will then be able to function properly again. Hence the Keyboard is Hynosis. 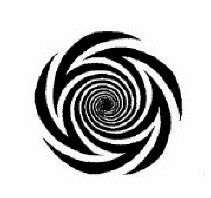 Hypnosis is just a tool that we use to access our subconscious mind. Some use it to program the computer such as what advertisements, parents, religions, society, teachers, friends, stories, television and films etc. had done to us. and some use it to clear up viruses. It takes people with special knowledge and skills to be able to clear up our push buttons. I have found that the fastest and most effective way to get rid of a push button is by finding the root cause of it from the clients' past, bring this memory to the conscious mind, and release the negative repressed feelings from these memory. Once this is done, we will find that certain things that used to bother us in the past will no longer affect us anymore. The Push Button will be gone permanently. I approached Lydia for help when I had gained over 29lbs in weight. I felt awful and my self-confidence had plummeted. I was also very skeptical regarding hypnotherapy and did not like the idea of "losing control" over my thought process or of being put to sleep. I spend 2 hours with Lydia and found the experience deeply relaxing and cleansing. I learnt why I was eating the foods that I was and how to deal with the problem that I had. Immediately I felt better about myself and did not feel the need to eat all the time. The weight dropped off me and I am now 30lbs lighter. Both of my children were also helped by Lydia when they experienced problems at school, I now have two happy well-balanced boys. Do we need Hypnotherapist to change our beliefs? No, we don't, we can do it ourselves by using self hypnosis technique. It is much easier though to have a hypnotherapist who can guide us to the hypnotic state and it does help to have a professional who knows what he/she is doing to assist us effectively. Can hypnotherapy help me enhance my life? What kind of problems can hypnotherapy help us? As most illnesses and emotional problems are caused by the mind, the list can be limitless.